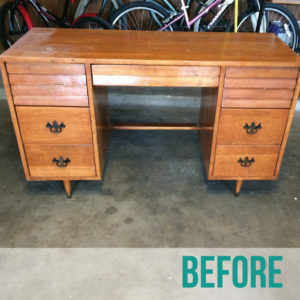 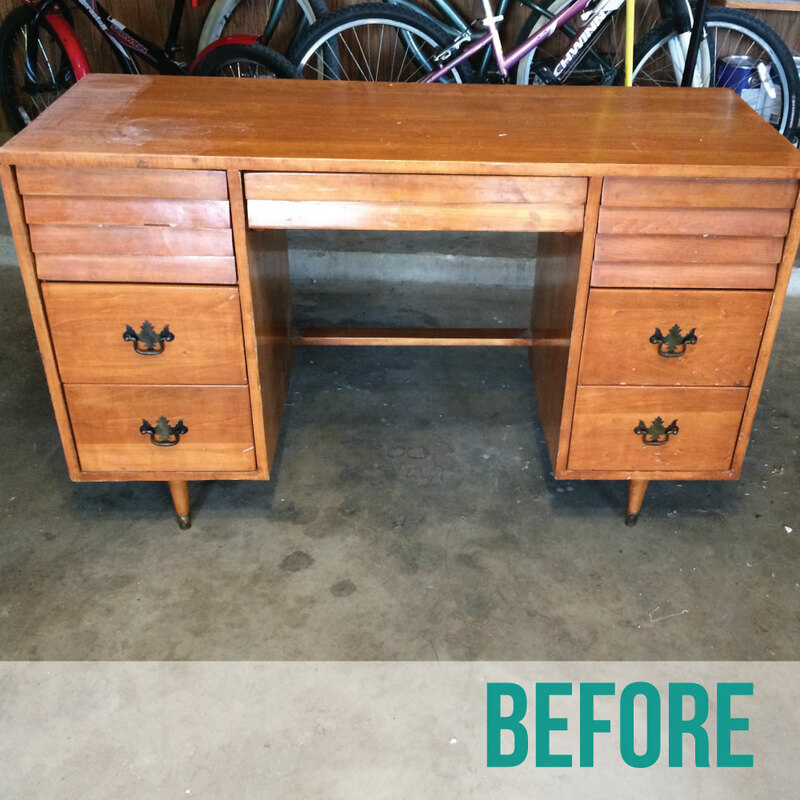 I got this desk from a family member when they were moving and quickly decided that the orange-colored stain just wasn’t doing this beauty justice. 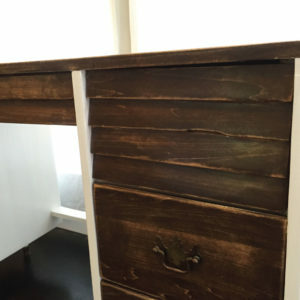 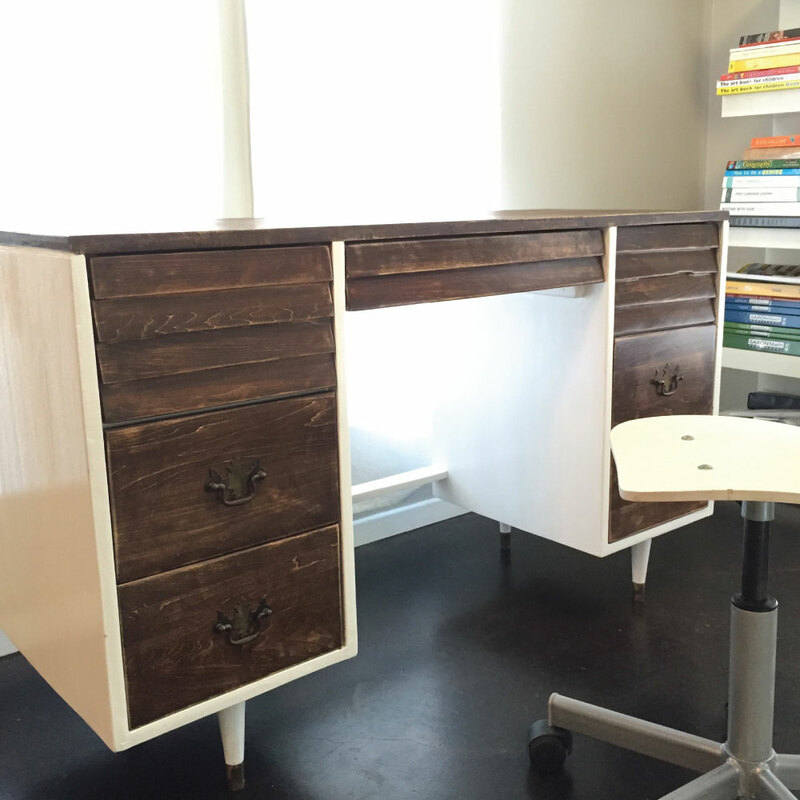 I updated the drawers and face of the desk with a dark walnut stain and painted the outside of it a crisp white. The adorable caps on the legs are one of my favorite details.